On Friday, two days after its "Gather Round" event in Cupertino, Apple released a video to its YouTube channel showing "everything to know in 54 seconds" about the new iPhone XS and XS Max. The video surfaced on the day those two devices opened for preorders. Combining beautiful video of the two new devices with words illustrating its features, the video touts the iPhones' big screens, water and dust resistance, gold color, improved Face ID, better cameras, A12 Bionic chip, and better speakers. "It's not just one amazing iPhone," the video concludes. "It's two." It's not clear whether the video will ever run as a TV commercial, but Apple typically saves summary clips for use on social media. The video's fast-paced format is similar to a clip Apple published summarizing all the big announcements from the "Gather Round" event. 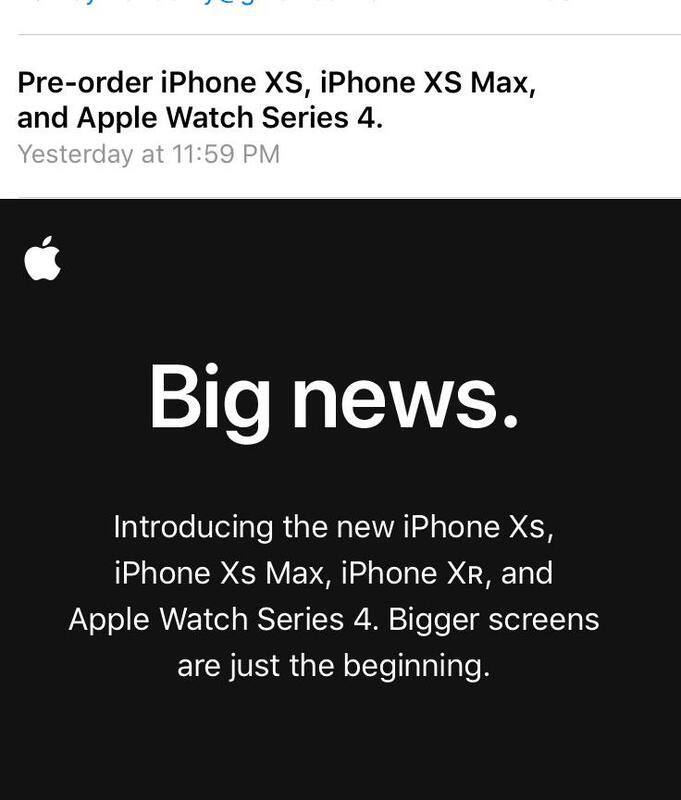 Apple's iPhone XS and XS Max, as well as the new Apple Watch Series 4, went up for preorder earlier today on the company's online storefront. Launch day supply of the handsets quickly sold out, with nearly all U.S. carriers showing depleted stock just 30 minutes after sales went live. Nice ad, but I'm probably still getting an Xr. I'm very curious to see how good the LCD display is. We need the XR ad! That's my take at least. I'm sure there will be plenty once it launches in 5 weeks. I just saw the 108 seconds ad in Youtube. It was presented as an ad before the video began. Of course, I watched the entire commercial instead of clicking on "Skip Ad" link. Apple ruins iPhone product line. I just saw the 108 seconds ad in Youtube. The one with Memoji Tim Cook at the end? That ad was amazing and should be on TV. That video was too overproduced to actually be informative/educational. I wonder if people will be confused about the difference between the S and R, that is something we will find out in the weeks ahead. One advantage of the old approach of using last year's model for the low end is that its very easy for people to grasp. Does "Bigger screens are just the begining" hint anything? iPad on March? iOS 12 should solve that. It isn't going to solve anything, it will just give Apple an excuse to say they tried to do something about it if any eventual problems are brought back against them. No, you shouldn't. you should really get a hobby.